Dec 16, 2015 – CMG’s Andres Carvallo to join CyberSecurity panel at the International Wireless Communications Expo 2016. The panel is titled “Armageddon! How a Cyber Breach Can Disable a City” and the speakers will cover the latest risks and best practices to avoid total catastrophes. For More Information Click Here. Dec 8 , 2015 – CMG’s Andres Carvallo to speak at the International Wireless Communications Expo 2016. In his talked titled “The Next Wave of Building Automation and Smart Buildings”, Andres will share his vision and insights and go beyond a programmable thermostat and automated lights to examine the latest in building automation and smart technology that will save money and resources. For More Information Click Here. Dec 1, 2015 – CMG’s Andres Carvallo gets reelected to a second term on the SGIP board of directors. This second term will expire on Dec 31, 2017. The Smart Grid Interoperability Panel (SGIP) is a consortium that securely accelerates and advances Grid Modernization through interoperability and the leadership talents of its members. For More Information Click Here. Nov 24, 2015 – Angelou Economics and CMG signed marketing partnership to accelerate Smart Cities development across the US. Angelou Economics will contribute to Smart Cities with their economics development and corporate site location expertise. CMG will provide Smart Cities its own Smart Cities Roadmap Planning Framework along with its other 13 technology, business and market development planning frameworks. For More Information Click Here. 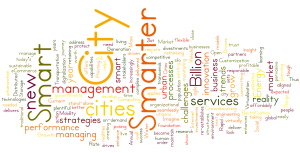 Nov 18, 2015 – CMG’s Andres Carvallo to deliver “Smart Cities Means Smart Services” webinar. Andres will cover how Energy, buildings, infrastructures, transport and government all help to define a city and its services. As well as how technology changes the very way we live and communicate, and how we can create new efficiencies in sustainability, monitoring, distribution and performance of people and organizations. Furthermore, Andres will share what smart services will mean to cities and municipalities as they take advantage of technological offerings such as the internet of things, smart devices and connected grids to increase communication and management. For More Information Click Here. Nov 5, 2015 – CMG releases new Smart Grid Governance Framework (SGGF). The CMG SGGF is designed to help utilities have a clear technology governance and alignment process to support the required transformation from selecting and deploying a smart grid roadmap successfully. Without universal buy-in and a common perspective throughout the enterprise, no transformation will take place. The CMG team has lived this more than 10 times with utilities in the US, Europe, Middle East and Asia. For More Information Click Here. October 23, 2015 – ClearWorld Chooses CMG’s Go-To-Market Planning Framework and Services. ClearWorld is focused on providing off-grid/on-grid solar LED lighting solutions for roadways, sidewalks, apartment and condominium complexes, retail and corporate parking lots, university campuses, government institutions, military installations and more. Through practical design and sustainable, cost-effective solutions, we provide a bundled set of technologies and services, along with the expertise to easily guide distributors, installers, and financiers through a turnkey program. ClearWorld is committed to providing the highest quality product to a rapidly growing marketplace. For More Information Click Here. October 19, 2015 – Hive Computing Chooses CMG’s Go-To-Market Planning Framework and Services. Hive Computing is a start-up with a revolutionary idea that meshes smart meters and computing, and that may take the shared economy to a new level. Hive plans to connect smart meters and utilize their spare capacity to create a networked supercomputer that will be green and very inexpensive to operate. For More Information Click Here. October 15, 2015 – CMG releases update to its Distributed Energy and Microgrid Planning Framework. More and more utilities and customers are looking to deploy distributed energy and microgrid technologies like solar PVs, fuel cells, combined heat and power, micro-wind, energy storage, smart appliances, sensor networks, and energy control systems and solutions. Big Data, Cloud, and Mobility services play a key role in unleashing the benefits of these trends. For More Information Click Here. October 5, 2015 – CMG’s Andres Carvallo to moderate two panels at the SGIP Annual Conference. The SGIP Annual Conference will be held November 3 – 5, 2015 at the InterContinental New Orleans Hotel in New Orleans, LA. The two panels will cover “Customer Engagement & Analytics” and “Transforming Utility Business Models”. SGIP is the premier member-based global organization for smart grid interoperability and collaboration towards common standards. For More Information Click Here. September 30, 2015 – CMG’s Andres Carvallo to EMCEE and moderate a panel at the Rural Smart Grid Summit (RSGS). RSGS will be held November 1 – 3, 2015 at the Omni Rancho Las Palmas Resort & Spa in Palm Springs, CA. The panel will cover the “Smart Grid Cyber-Security Challenges”. RSGS is the premier independent summit for Rural Power Utilities in North America. For More Information Click Here. August 10, 2015 – CMG’s Andres Carvallo to EMCEE conferences and moderate two panels at the second annual Smart Water Summit (SWS). SWS will be held September 20-22 at the Omni Rancho Las Palmas Resort & Spa in Palm Springs, CA. The panels will cover “Smart Infrastructure Trends & Solutions” and “Smart City Evolution”. SWS is the premier independent summit for Public and Privately Owned Water Utilities in North America. For More Information Click Here. 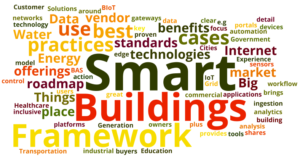 July 20, 2015 – Smart Grid Summits Choose CMG’s Go-To-Market Planning Framework and Services. CMG’s Andres Carvallo to join board of advisors. SGS is a premier event producer of smart technology suits for the industry. SGS produces the Muni Smart Grid Sumit, the Smart Water Summit, and the Rural Smart Grid Summit. For More Information Click Here. June 8, 2015 – Grid4C Chooses CMG’s Go-To-Market Planning Framework and Services. Grid4C’s designs and commercializes a Big Bata and Analytics Platform that empowers all energy value chain participants by providing them the power to foresee, leveraging advanced machine learning capabilities to deliver accurate, granular predictions, which are crucial for tracking the rising challenges of today’s industry. For More Information Click Here. June 1, 2015 – CMG’s Andres Carvallo to EMCEE conference and moderate two panels at the 5th annual Muni Smart Grid Summit (MSGS) June 21 – 24 at PGA National in Palm Gardens, Florida. MSGS is the premier independent public power utility event of the year. The two panels will cover the topics of “Public Power of The Future” and “Smart Grid Cyber Security”. MSGS is the premier independent summit for Municipality-Owned Power Utilities in North America. For More Information Click Here. May 5, 2015 – CMG’s Andres Carvallo, a Board Director of SGIP, has been elected chairman of the SGIP Marketing and Membership Committee (MMC). The MMC is responsible for helping SGIP achieve its mission by overseeing the development of marketing strategy and management of all marketing activities, member recruitment activities, and member relationships. For More Information Click Here. April 29, 2015 – CMG’s Andres Carvallo, a Board Director of SGIP, has been elected chairman of the SGIP Nominating and Governance Committee (NGC). The NGC is responsible for helping SGIP achieve its mission by overseeing the development of policy and management of all voting, SGIP operational, intellectual property, and ethical activities. For More Information Click Here. April 8, 2015 – Community Resilience Microgrids breaking new ground. Virtually all microgrids share the goal of improving grid resilience, but community resilience microgrids (CRM) — specifically designed to promote grid resilience within communities — are being driven by specific government programs, providing funding and regulatory support — which is a major factor that will promote the spread of CRMs in the coming years. Navigant Research says the CRM market still wrought with possibilities. In fact, Navigant Research predicts global CRM implementation revenue to grow from $162.9 million in 2015 to $1.4 billion by 2024. April 1, 2015 – SGIP elects Andres Carvallo to its board of directors. The Smart Grid Interoperability Panel (SGIP) is a consortium that securely accelerates and advances Grid Modernization through interoperability and the leadership talents of its members. “Our organization is only as strong as the collective leadership and active participation from the membership and the Board, so we are delighted to have the support and dedication of industry leaders like Andres,” stated SGIP President and CEO Sharon Allan. For More Information Click Here. March 12, 2015 – NEW BOOK PRESENTS EVOLUTION OF SMART GRIDS IN THE 21ST CENTURY – Artech House today announced the publication of The Advanced Smart Grid: Edge Power Driving Sustainability, Second Edition by Andres Carvallo and John Cooper. Placing emphasis on practical “how-to” guidance, this cutting-edge resource provides a first-hand, insider’s perspective on the advent and evolution of smart grids in the 21st century. This updated second edition specifically focuses on the disruptive impact of distributed energy resources (DER). For More Information Click Here. March 9, 2015 – ClearBlade Chooses CMG’s Go-To-Market Planning Framework and Services. ClearBlade makes enterprise software to build and run great mobile apps, IoT solutions and more in half the time, for half the cost. The learBlade team research, debate (argue), collaborate and sprint every two weeks to deliver excellent solutions and services. Their customers are really big companies that operate around the world. For More Information Click Here. February 23, 2015 – CMG introduces 3 new frameworks to its solutions portfolio. The new frameworks include: 1- Business Optimization and Transformation (BOT) Framework – The BOT Framework delivers a proven step-by-step methodology to optimize and/or transform existing utility business processes to achieve superior customer satisfaction, operational productivity and profitability. 2-Distributed Energy and Microgrid Planning Framework – The DEM Planning Framework covers the assessment, benchmarking, design, architecture, and optimization steps to build and run grid independent or grid black star solutions. 3-Virtual Power Plant (VPP) Planning Framework – The VPP Planning Framework covers the assessment, benchmarking, design, architecture, and optimization steps to build and run integrated distributed edge resources and smart appliances into a utility grid. For More Information Click Here. February 13, 2015 – CMG’s Andres Carvallo has been selected as the keynote speaker for Verizon’s Annual Industry Sales Conference. The Verizon Annual Industry Sales Conference will be held in Irving, TX on March 4, 2015. February 5, 2015 – CMG’s Andres Carvallo has been selected as a speaker-moderator of two panels for ETS15. These new responsibilities are in addition to his standing chairman role for the event. ETS15 will be held March 24 – 26, 2015 in Austin, TX. For More Information Click Here. February 2, 2015 – CMG Updates Its Best Selling Frameworks. Those services include: Strategy and Scenario Planning, Go-To-Market Planning, Smart Grid Roadmap Development, Smart City Roadmap Development, and Distribution Management System Lifecycle Management. For More Information Click Here. January 30, 2015 – CMG’s Andres Carvallo has been selected as a speaker for the Annual Aclara Client Conference. The Aclara Conference will be held on April 20 – 23, 2015 in Nashville, TN. For More Information Click Here. January 28, 2015 – CMG’s Andres Carvallo has been selected as a keynote speaker for The University of Kansas 5th Annual Energy Conference. The conference will be held April 6, 2015 in Lawrence, KS. For More Information Click Here. January 23, 2015 – CMG’s Andres Carvallo selected as the keynote speaker for iConnect 2015. iConnect is iFactor’s Annual Client Conference to be held March 23 – 25, 2015 in Scottsdale, AZ. For More Information Click Here.